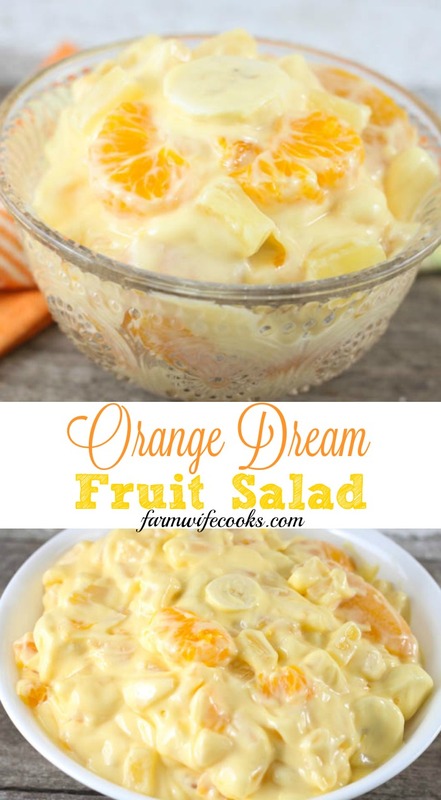 This Orange Dream Fruit Salad is an easy fruit salad recipe made with orange juice and vanilla pudding mix that will have everyone coming back for seconds! 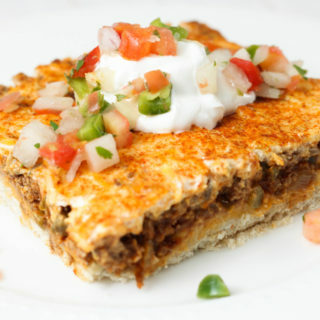 This recipe comes from my favorite cookbook, a fundraiser cookbook put together by dairy farmers. 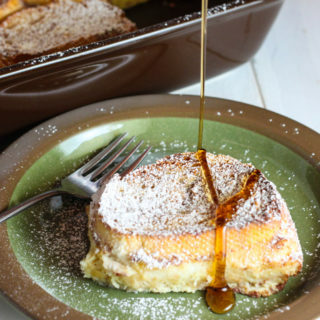 This recipe comes from a dairy farm friend in Michigan. 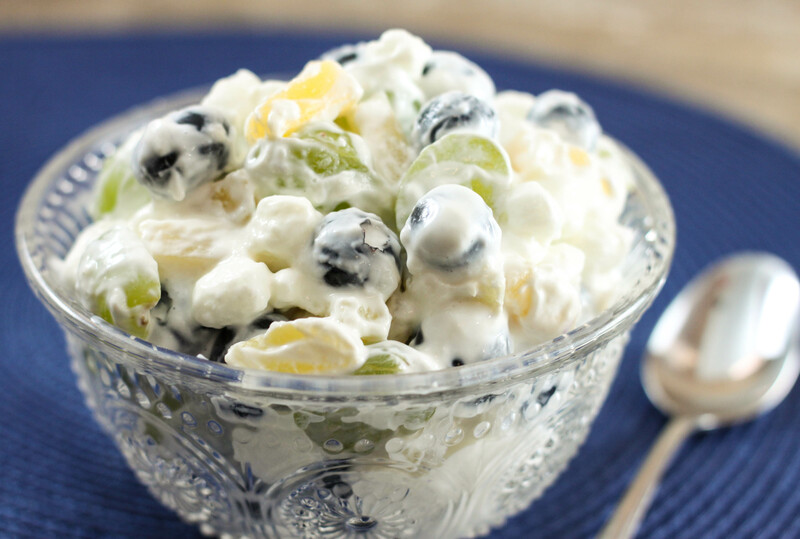 If you like this recipe you might also enjoy this Blueberry Ambrosia Fruit Salad. I love fruit salads! 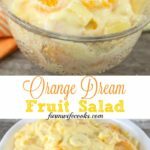 They are an easy side dish or dessert that are always a hit! They are perfect to take to pitch ins or make for family meals. 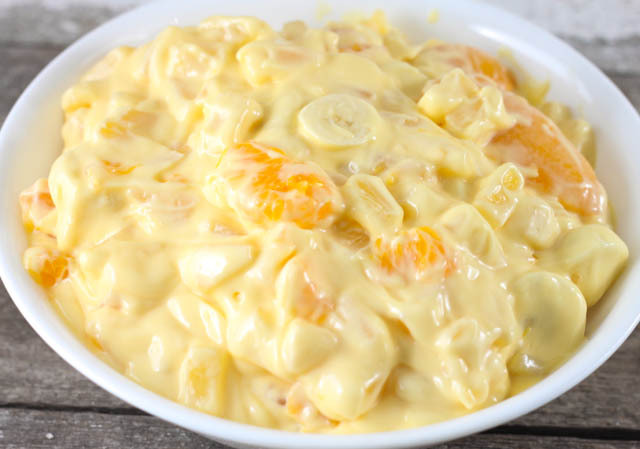 The majority of the fruit in this recipe comes from a can, making it easy to dump and go and easily made any time of year. Just make sure to remove the majority of liquid or the end product will be a little thin. Do not add the bananas until just before you serve so they don’t get brown. 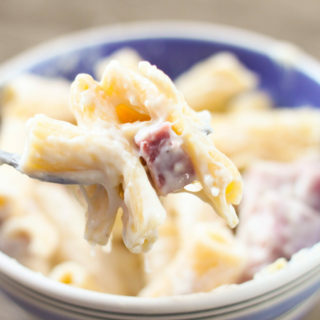 It does make a lot and you can refrigerate for leftovers but just pick the bananas out because they get a little yuck, or you could leave out all together. 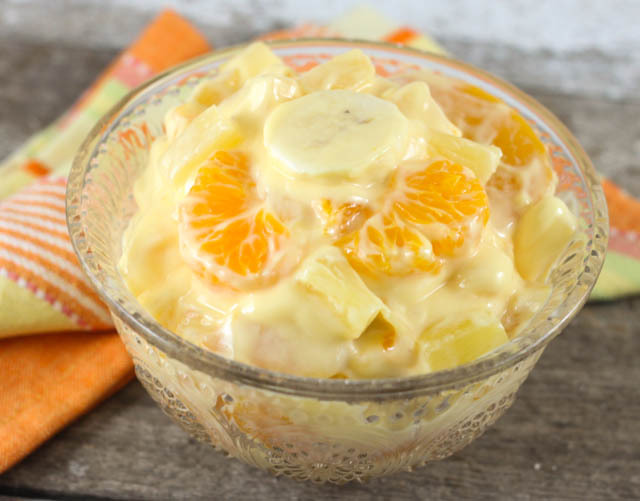 The great part about this fruit salad is that if you don’t like a particular fruit you can leave it out or substitute you just might decrease the amount of pudding mix depending on the substitution. In a large salad bowl, combine the drained fruits and set aside. 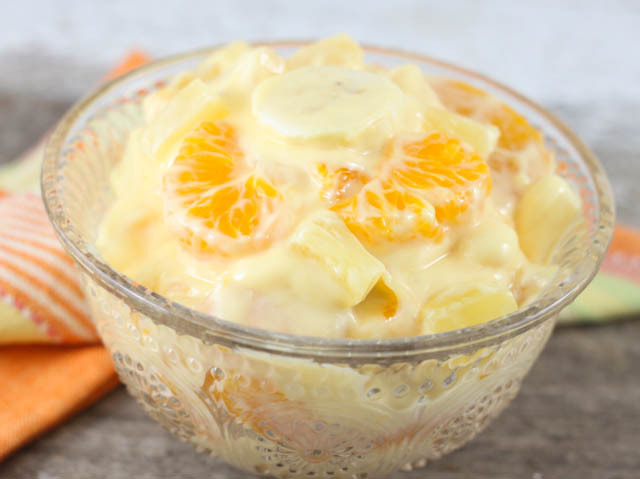 In a small bowl, beat the pudding mix, milk and orange juice concentrate for 2 minutes. Don't add bananas until ready to serve.